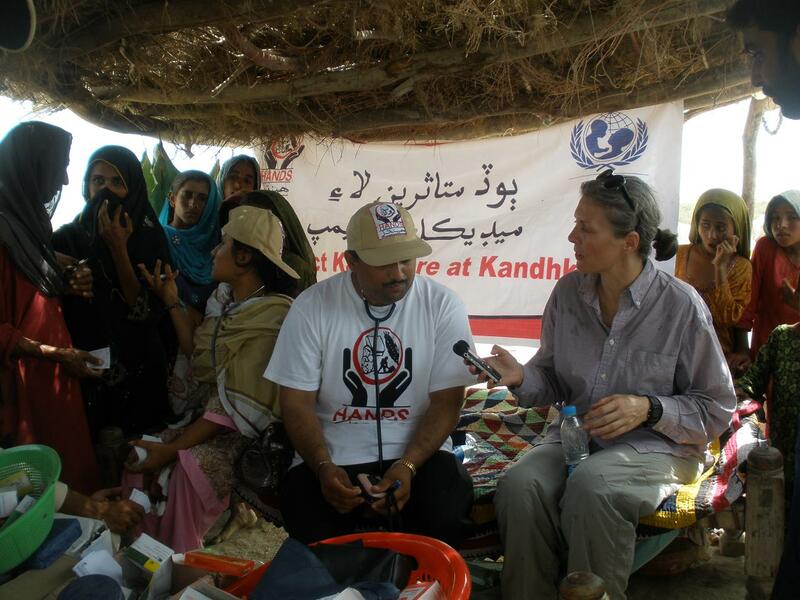 Health and Nutrition Development Society, HANDS, is one of Pakistan’s largest non-profit organisations, working since 1979 in the sectors of health, education, poverty alleviation, water and sanitation, infrastructure development, emergency response through social mobilization, advocacy & capacity building. 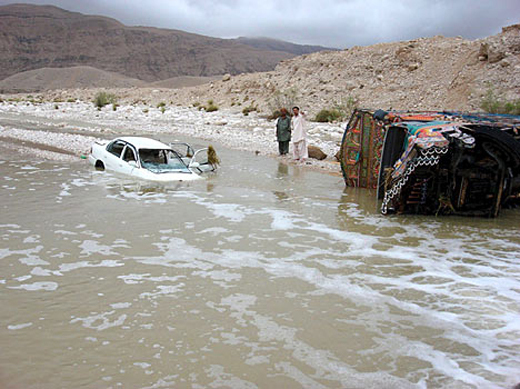 Their work targets more than 8 million people from 14,962 villages in 18 districts of Sindh & Balochistan. 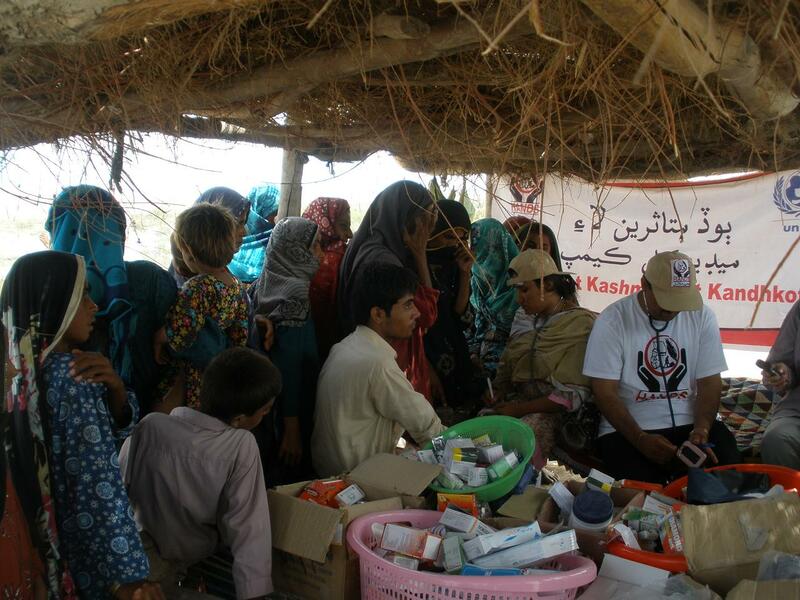 These are photos from their medical camp at BS Feeder Band near Kandhkot-Kashmore district. 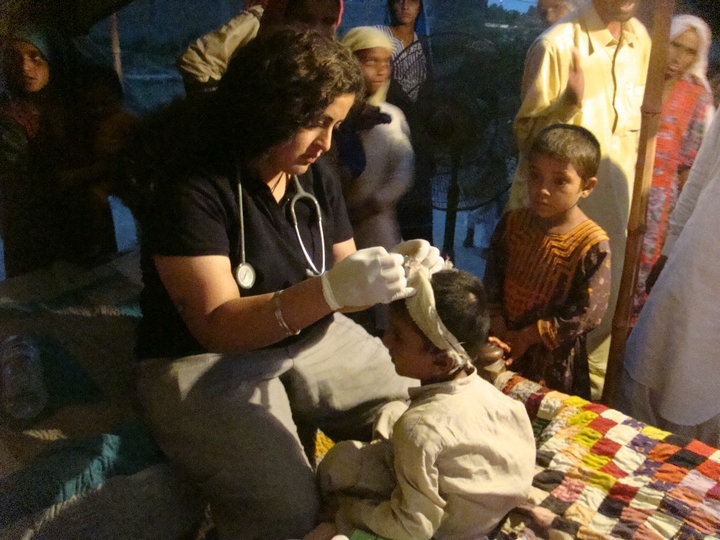 “These medical camps are supported by UNICEF. A German journalist also visited the camp through boat. Thousands of people are sitting at BS feeder surrounded by water. Access to them for any food, medical supplies is only by BOATS. 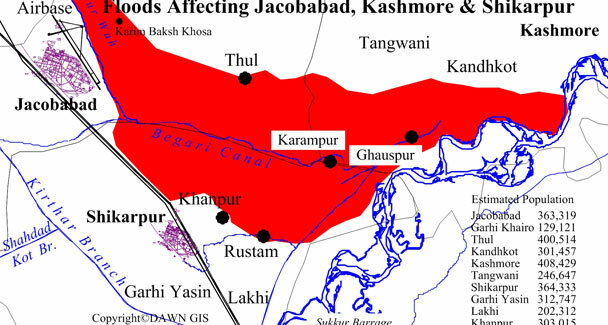 HANDS installed few hand pumps, pit latrines and providing food and medical services through boats,” writes Zafar Ali Dehraj, HANDS General Manager, Social Mobilization, Advocacy & Disaster Management. B-67, Street#4, Hamdard Coopertaive Society, Airport Road Sukkur, Pakistan.